I've always wanted to visit the USA for the Fourth of July celebrations. One of my favourite songs is America the Beautiful. I love tuning in late at night to watch the firework show over the Hudson River. Fourth of July 2013 has inspired me to write this post. 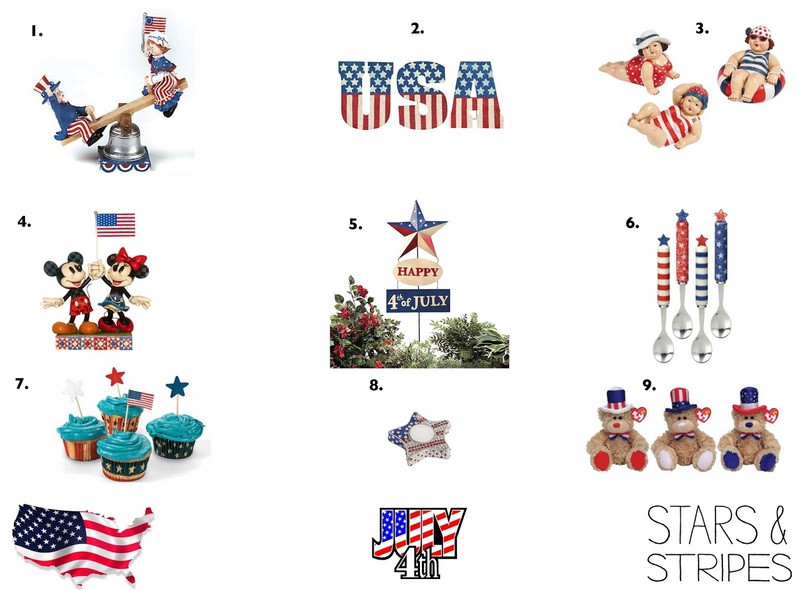 I love looking at all the home decor around the different seasons and found some really cute decor online for 4th of July and wanted to share it with you all. 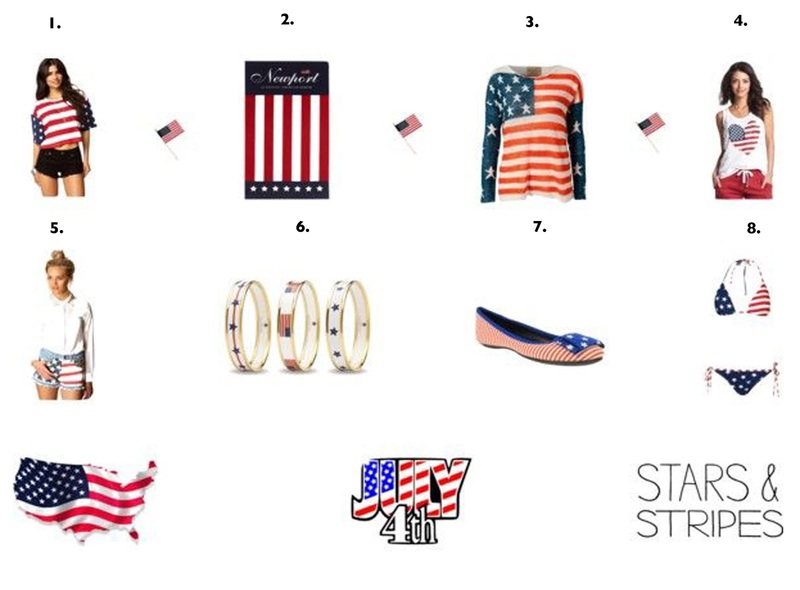 The 2nd half of the post focuses on 4th of July inspired fashion and accessories.